According to a U.S. Patent and Trademarking application that was made public today, Apple appears to be looking for a way to charge devices like the iPhone and iPad using wifi-router signaling. The technique is somewhat similar to the induction charging that it uses for the Apple Watch but increases the distance that the device can be from the charging antenna. Apple titled the technique “Wireless Charging and Communications Systems With Dual-Frequency Patch Antennas” and appears to have several ideas on how they can get it to work. According to Apple Insider, they theorize that power transfer can occur in communication signals ranging from 700 MHz and 2700 MHz and on the 2.4 GHz and 5 GHz wifi bands. The proposed device would use something similar to the “beam steering” technology that Apple uses in its current routers to improve signal quality, except that in this case power would "piggyback" on the data signal and trickle-charge the device. The filing touches on ways that Apple could extend the range of its induction charging technology. While it does not go into great detail, some of the concepts mentioned include dual mode circuitry, dual-polarization, dual-frequency patch antennas, substitute antenna arrays, and wireless circuitry configurations. 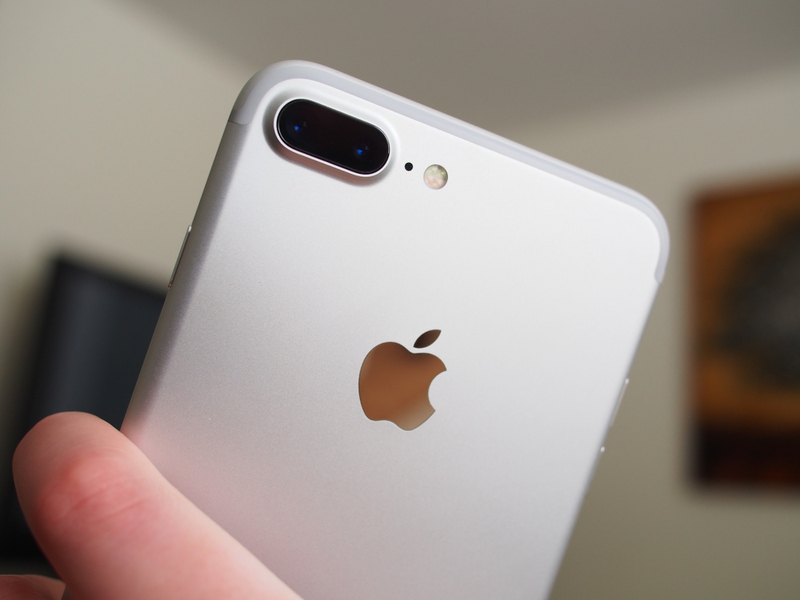 It has been speculated that the iPhone 8 will indeed have some form of wireless charging, but AI doubts that the tech described in the patent are a part of that. However, the patent was first filed in 2015, so who knows how far Apple has come in its research since then. We might be seeing wifi charging or something similar in the not so distant future. Bryan1223, Reehahs and Cal Jeffrey like this. Does anybody think what this will do to the human body? You know how the kids are nowadays, especially on apple branded products. Ahhh, to be young and stupid again. I miss it. Reehahs and Greg S like this. Fun fact: some of us are engineers and are more knowledgeable than others. Know who developed the Qi standards? Reehahs, ForgottenLegion, Kotters and 1 other person like this. Yeah, they're just holding it wrong. Reehahs, BSim500 and ForgottenLegion like this. What makes you think someone is a better engineer just because they work for Apple? Are Intel engineers less capable? I'm pointing out that Apple has little experience compared to most small independent design companies in wireless power. Premier Farnell has far greater experience than just about any company for wireless power other than the original inventors. Kotters, Reehahs and BSim500 like this. In reality, anything wireless charging related is "possible" if you beam enough energy at it inside a lab. The obvious common sense issues with real-world consumer devices are : 1. Cost (vs making the battery thicker and having to replace your router), and 2. Charging efficiency (given Inverse Square Law something 5m away from an induction charger needs 10,000x (not 100x) more radiation energy vs induction charging something under 5cm distance on a wireless charger pad. What's more where stuff like Samsung's wireless charging pads pump out 38.5dbm / 7w over a few cm, Wi-Fi is typically capped at 30dbm / 1W (emission regulations). So a "Wi-Fi charger phone" will be receiving typically 7x less power output at source that rapidly drops off at a rate of square the increase of distance (1/4 power per doubling distance) and used at a typical +100-200x greater distance (5-10m from router vs a sub 5cm wireless charge pad). Cal Jeffrey, Billybobjoey, Bubbajim and 1 other person like this. Just because someone works for Apple doesn't make them smarter than everyone else.... however.... I will assume that ANY successful giant company will have some fairly competent people doing their research, tech, etc... What makes a random poster on this website more qualified to say what is possible? Energous has long been rumoured to be in partnership with Apple... wonder if a future iPhone uses that instead? Agreed. This phone is like all those prototype cars that seem amazing, until you try to actually make more then 1 of them. Wireless charging has been trying to happen for years, IMO it wont happen. It's already way too slow, and doing it over any kind of distance makes it much slower. This power over wifi smells more like a patent grab then anything else, unless they are planning on using it to introduce wireless charging with metal phones in the same way QI works, but using the wifi antenna instead of a coil. That sound much more likely. Well, anything is possible, if my video games are working on steam. Cal Jeffrey and Bryan1223 like this. What???? Tesla's technique wasn't good enough for them!?!?!?! Why should it affect the human body in any way? It works on electrical impulses anyway. If they can get the tech to work, great, I'm in too, but buy into anything Apple? Don't be ridiculous. All other manufacturers will have their versions of the same tech out of the door long before Apple can wipe the crap out of their eyes. What makes a random poster on this website more qualified to say what is possible? "Energous: Don't Buy The Company's Story Or Stock"
- Energous transmitter uses "hundreds" of antenna (essentially designed far more like a Phased Array / AESA Radar found on a Navy Destroyer than Wi-Fi beamforming via 2-8x omni-directional antenna) isn't remotely cost effective vs a charging pad. I know this is Energous not Apple but as you posted the link, seriously there have been over a dozen "startups" promising "free energy from radio wave harvesting" and all have turned out pure unadulterated BS. That Energous are claiming to deliver power figures several times higher at the target than the legal limit of what radiates out of the router in totality at 0cm distance is your first obvious "red flag". Maybe they can wirelessly charge it using quantum entanglement, but the down side is that in some box out there, a cat may or may not be dead everytime you do it. If not going to bother following the link because if I had to take everything that medical science says is bad for you seriously I would've been dead 60 years ago. All it takes is a bit of common sense to know what's good for and what's dangerous to you. I'm not saying medical science is always wrong but one has to lead their lives as they're supposed to. A few years ago using a cellphone was supposed to be a cause for brain cancer... We're still waiting for proof, and the list goes on and on and on. If I was to worry about them all I'd never get out of bed only to pass away prematurely from being too sedentary. We've all got to die of something one of these days. Build a big enough rocket and yes "flying to the moon" is possible through simple scaling. "Teleporting 8w of RF energy through the air losslessly from a 1w RF source" (a claim of 700% electrical efficiency) is of course something we do know is 100% impossible. Maximum 0.5-1.0w legal Wi-Fi emissions are what they are in every country on Earth for health reasons. It's no more going to be scaled up into tens / hundreds of watts than selling microwave ovens without a door and shielding is going to be legalized. It's either something you understand or do not, and those who don't aren't really in a position to bash what they perceive as "no one can possibly know..." naysayers. It's actually this "Appeal To Ignorance" logical fallacy that fuels a lot of tech / financial scams. It may well "annoy" you, but when someone makes an outrageous claim, the onus is 100% on them to prove it, not on bystanders to disprove their own natural disbelief of vaporware that clearly defies the laws of physics... If someone else claims something you've claimed you can do is impossible, then the solution is quite obvious - don't sulk because your claims are questioned, just prove it (or as they say in Missouri, "show me"). My point wasn't about Energous specifically.... or their exact specifications.... the original article simply had Apple charging things wirelessly over WiFi.... And that MIGHT be possible one day.... we don't know how yet.... possible no one does.... but it isn't proven to be impossible! If ignorance is bliss then I must be the happiest person on the planet.